Chicago Fun Entertainment Company as seen on the News! A. The only way to secure a date with our services is with a contract and payment to hold the date for your event. ( a credit card (5% surcharge on all credit and debit cards), certified funds, or cash with an email correspondence will act as a contract, when booking your event you must realize we are guaranteeing that date for you with the payment of credit card or any other form of payment so no refunds apply but we do give rain days in the event the weather turns out to be horrible, if an act of God was to happen on either end we will simply give a credit of service for a future date ). If we are not called to cancel our trip and leave our location if any balance is due it must be paid in full. Its Mandatory that the booking customer is reachable on the telephone prior to us heading out to the event. In the event the customer is not reachable we will not head out and a make up date will be offered. B. We will need enough space for our truck and livestock trailer to park. C. Animals do need short water and rest breaks especially on hot days. D. Petting zoos animals must be supervised by Adults at all times, sanitizing wipes or jell are always provided on site. E. Inflatable entertainment must always be supervised by Adults at all times. F. ALL PARENTS SHOULD CONSISTENTLY MONITOR THEIR CHILDREN, OUR GOAL AS PARENTS IS TO DELIVER THE MOST MEMORABLE MEMORIES FOR YOUR PARTY OR EVENT WITH SAFETY IN MIND! G. Note: we always wish to be on time for your event due to the nature of live animals which includes morning prep on our farm, loading , transport, so many things can happen that might make our show up time a bit late. Need not worry we make up the time and simply stay longer than originally planned. pony rides, petting zoo and fire truck services we simply ask as a trade off to be able to use the photos on our website to show the public how much fun. All The Fun In 1 can provide for your event! Note: we try to record the event but do not promise all children to be photographed. Hope To Service You In Your Party Needs! All The Fun In 1 is a great source for your Corporate Party Rentals Chicago, Fun Party Rentals, when hosting a party it is always great to have a variety of Chicago Party Planning Ideas to choose from! All The Fun In 1 provides Chicago Party Ideas we are a mobile entertainment group that provides Chicago Fun Party Rentals for your Chicago Birthday Parties,Block Parties,Back Yard Parties,Church Events, Corporate Parties,Public Events,Fun Raisers and everything in between! All The Fun In 1 offers Chicago Birthday Party Rentals,services for your Chicago Birthday Parties. You might be looking for a Chicago Birthday Party Place to host your Chicago Birthday Party,consider having All The Fun In 1 for your Chicago Birthday Party Entertainment! Rent a space at your local Forest Preserve or Park and host your party there or in your back yards,block parties,Church's,Corporate Picnics,Grand Openings and everything in between. All The Fun In 1 is a Mobile Entertainment Group that travels to your location and provides Chicago Party Fun Ideas,Rentals,Service and Chicago Party Fun Entertainment for your Chicago Party Rentals! All The Fun In 1 is a great choice for your Chicago party rental,services,and event planning ideas. 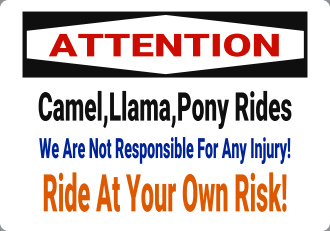 We are a mobile entertainment group that provides Chicago fun that the entire family can enjoy from our Camel Rides,Llama Rides,Pony Rides,Petting Zoos,Inflatable Rides,Train Rides,Fire Truck Birthdays and more! Schools,Day Cares,Backyard Parties,Park Districts,Police-Fire Departments and everything in between! All The Fun In 1 offers Chicago animal rentals for live nativity,passion plays and all other animal rental needs. With our Bouncy Inflatable Moon Jumps,Trackless Trains,and Fire Truck rentals are sure to be a big hit at your next event! Keep in mind with our Camel Rides,Camel Rentals,Mom,Dad,Grand Ma,Grand Pa and all the kids get to have fun with our Exotic Animal Rides! All The Fun In 1 provides the best Chicagoland Children's entertainment services in the Chicago Area! We are USDA Licensed and fully insured. As Seen On CBS News Christmas Greeting Cards With Live Animals! Fun Party Entertainment Ideas!